Our first exploration was the classic straw-and-potato trick, and it came from another site called, appropriately enough, Science Kids. 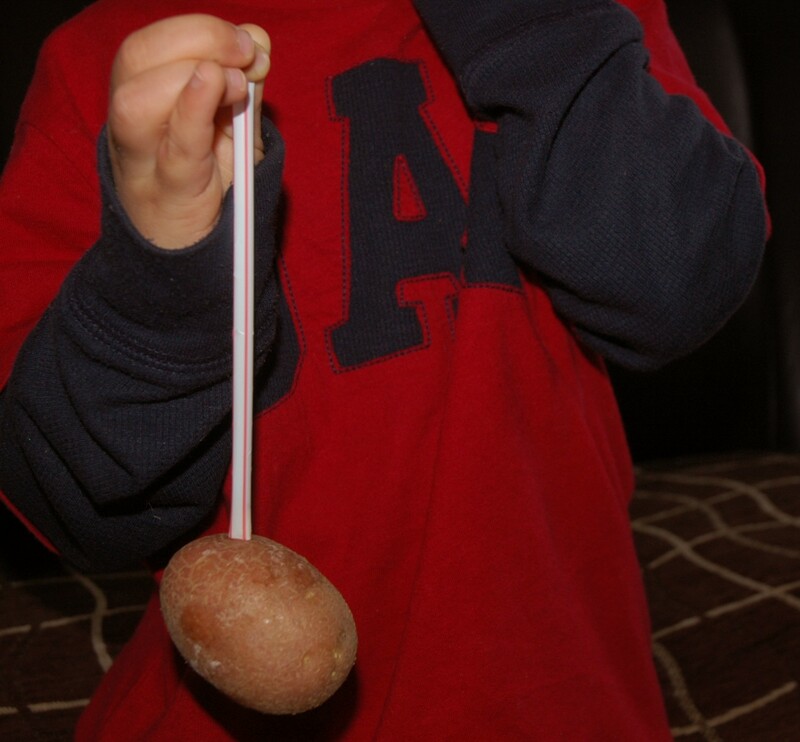 Take a potato, and have the kids try to insert a straw into it. You can’t – the straw bends and crumples. Now hold your finger over the end of the straw and quickly jab the potato – it goes in easily. Why? The air inside the straw had nowhere to go with your finger over the end, so the compressed air makes the straw quite strong by exerting force from inside. Cool, right? The kids were pretty unimpressed. They were more excited by the next one, which involved popping a coin off of a frozen bottle and had the advantage of possible bodily injury. First you take an empty plastic bottle with the top on and ask them what they think will happen if you put it in the freezer. They probably will have no idea. Twenty minutes later, when you take the crushed bottle out to show to them, you get to explain air pressure relative to temperature. Then you place a wet bit of paper towel and a coin over the bottle opening, and freeze it again. This time when you take it out and hold it in your warm hands, the air inside expands so quickly that the coin will shoot off the top like a champagne cork. The Naked Scientists website also has a cool interactive graphic that shows what happens to air molecules at different temperatures. We all really liked our third experiment. It was a simple candle-starved-of-oxygen deal with a twist. Take a dish with a couple of inches of water in it. Light a small candle (I found a tea light ideal) and place it in the water. Then invert a glass over the candle. Predictably the flame, starved of oxygen, soon goes out. That in itself amazed the kids, but what’s even cooler is that the water in the glass will rapidly rise an inch or so. The air in the glass quickly cools and shrinks, drawing water up inside. They made me repeat this one at least half a dozen times. Again, air pressure and temperature. 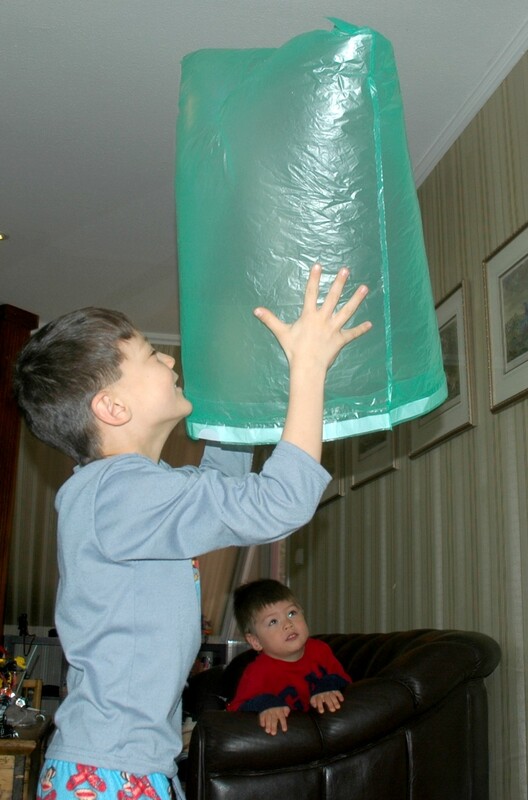 I saved the best for last – making a hot air balloon. You’ll need a piece of cardboard (I used an empty cereal box), a toaster, and a plastic garbage bag. 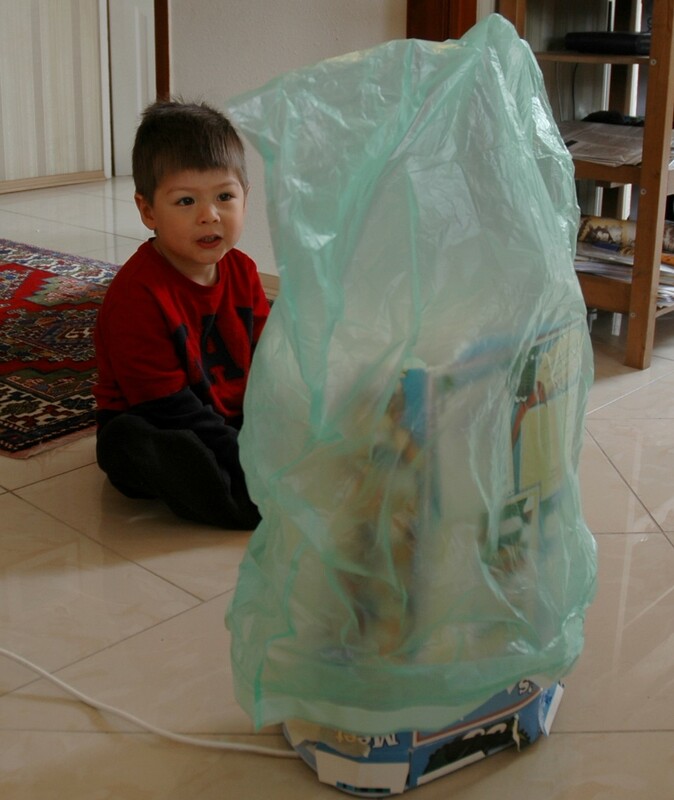 (The thin, lightweight ones they have here in Hungary are best – the only time I’ve ever been grateful for crappy bin liners.) 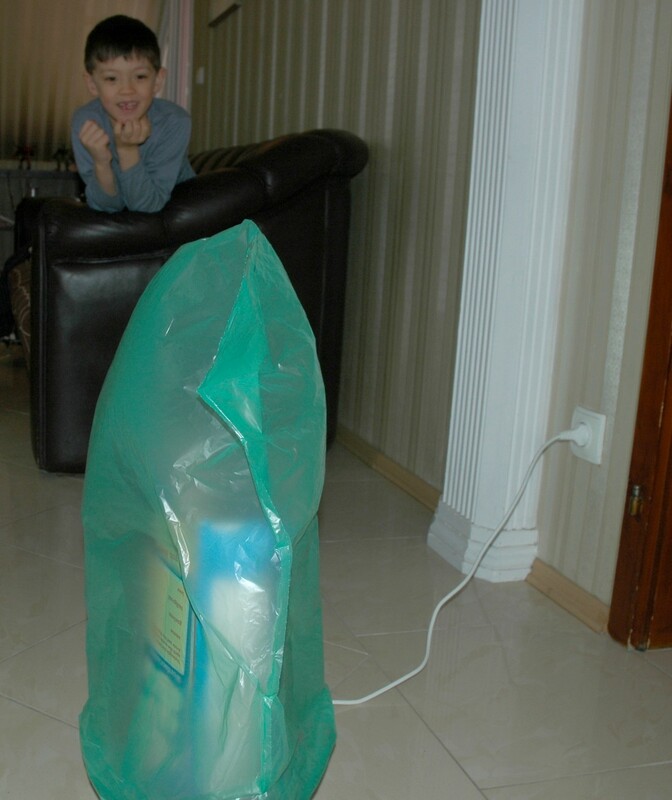 Wrap the box around the toaster, secure it with some tape, place the bag over it, and fire up the appliance. 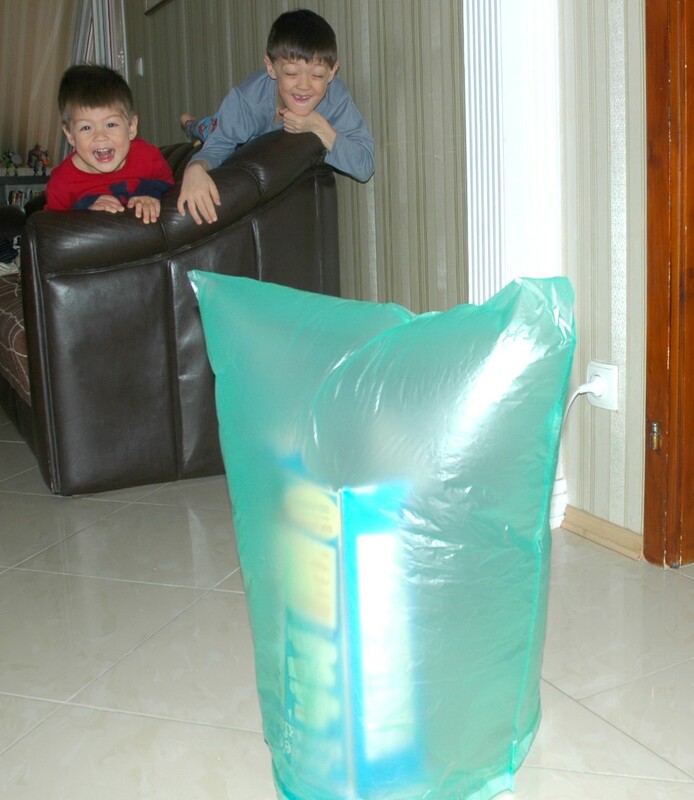 After a few moments you’ll notice the bag start to expand, then it will shoot right up to the ceiling. The kids thought this was pure magic, and it’s a clear example of how heated air molecules behave. We did this one over and over until I thought the toaster would melt. 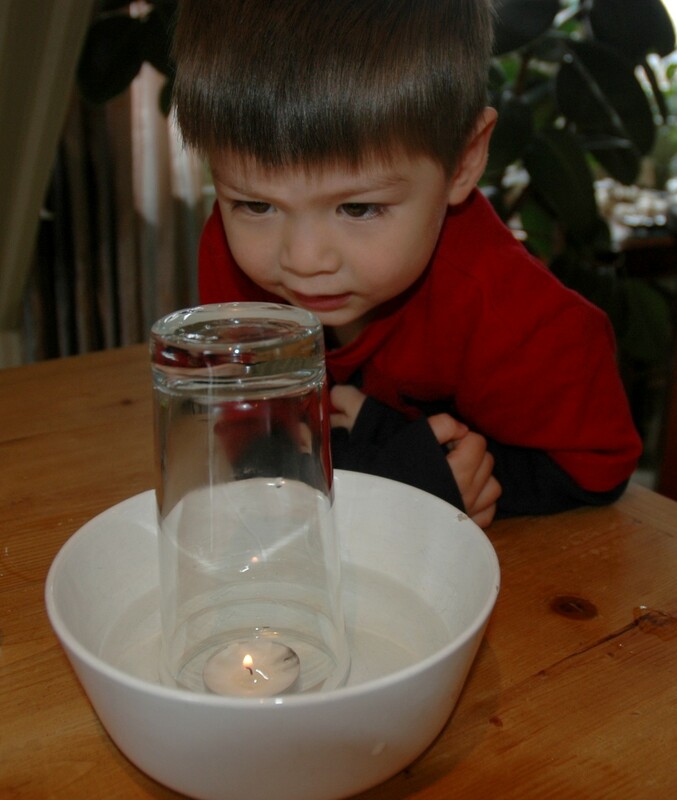 There are lots of sites out there for simple science experiments with kids, but definitely have a look at these two – they are great resources for those days when weather or illness keep the kids indoors, and chances are you’ll also learn something along the way. I know I did. That’s great stuff! Do you remember Bill Nye the science guy? That show had great kids experiments and it was funny enough to entertain adults as well. Some episodes are on YouTube, you should check them out! I loved Bill Nye. He was recently embroiled in some controversy when he essentially equated teaching kids creationism with child abuse, but he’s great! Thanks for stopping by! 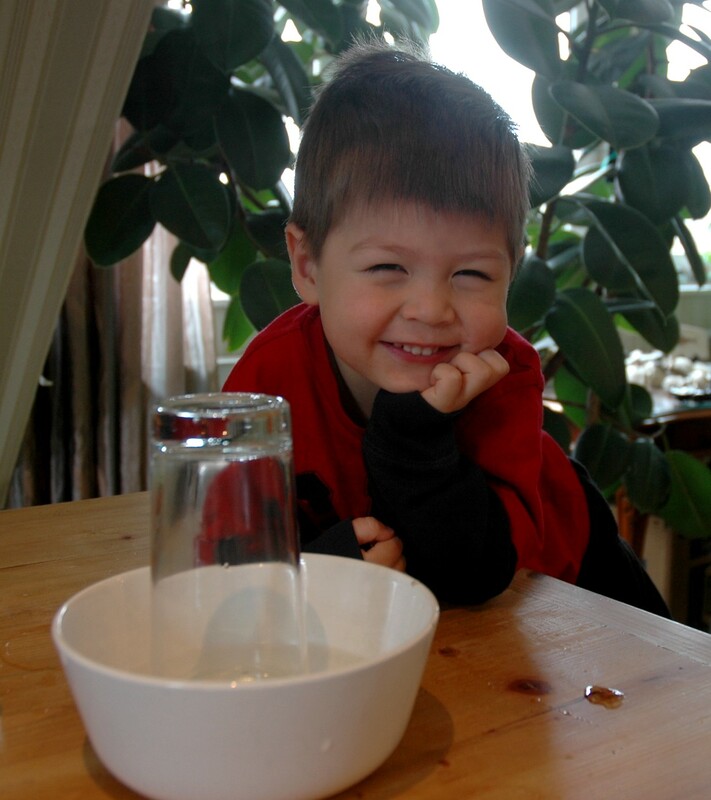 I used to love doing science experiments with my children and my young students. It’s important work and such fun. Your post reminded me of when I was a kid, my father would have “15 minute school” in the evenings a couple of times a week where we would do similar types of science lessons & experiments. It was more like an hour or so because it was quite a lot of fun. That sounds awesome! 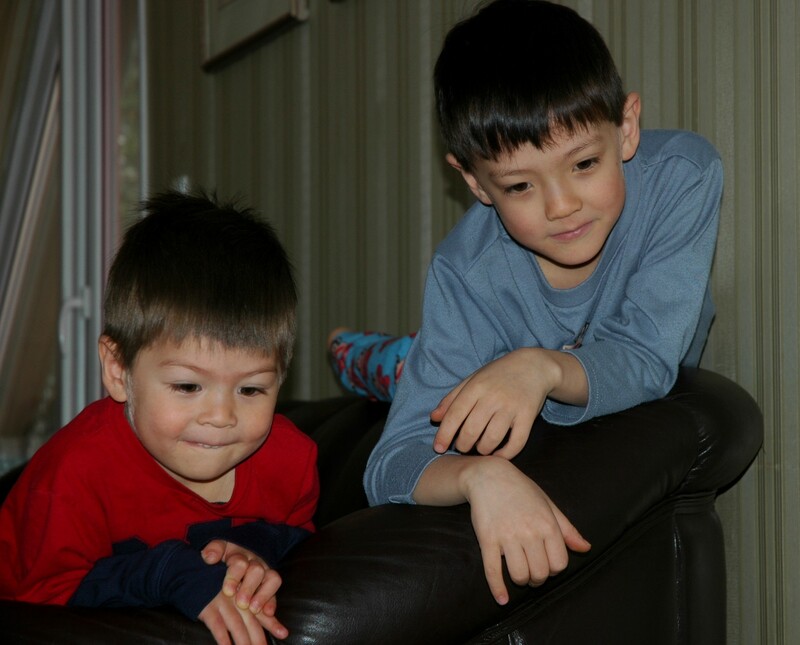 These things are so easy to do and engage the family in some real quality time. Thanks for sharing your memories! Thanks a lot, mrgmd – that’s really very nice of you to say. It’s comments like this one that make me want to keep posting. Cheers! What a great idea, think I will put the cooking utensils down for a day and give these science exercises a try instead 🙂 thanks for the idea! These are all really easy, but really interesting as well. The kids were completely engaged in the whole process. Thanks for your comments! I can just imagine! Even I can’t wait to give it a try 😉 it is a fabulous something different to do with the cherubs! I bet that was one of their “besets” day ever! And what a fun way to ignite their love for science. Great job! I’m not so sure about the bestest day ever, but they did have a good time with these. And they were really simple to set up too. Thanks for checking us out!